Donna Meltzer is CEO of the National Association of Councils on Developmental Disabilities (NACDD), a national non-profit organization that supports the nation’s 56 governor-appointed Developmental Disabilities Councils that work within state government to promote independence, productivity, and integration of people with disabilities through systems change activities. 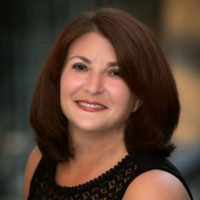 In this capacity, Ms. Meltzer oversees the organization’s public policy and advocacy agenda as well as technical assistance to the member Councils. Ms. Meltzer joined the NACDD in October 2012. Previously, she was the Senior Director of Government Relations for the Epilepsy Foundation. She rejoined the Epilepsy Foundation in July 2005 after having previously worked for the Foundation from 1987 – 1993. She also served as Director of Legislative Affairs for the Association of University Centers on Disabilities (AUCD) from 1995-2005. Ms. Meltzer began her career on Capitol Hill working for the Honorable Tony Coelho (D-CA), a former Congressman and House Whip from California who is the father of the Americans with Disabilities Act (ADA) and a person with epilepsy. Ms. Meltzer also spent two years as the Government Affairs Director for the National Health Council where she directed the advocacy agenda for the Council’s Voluntary Health Agency (VHA) members. She is a graduate of the University of Maryland’s School of Journalism.